Welcome to KeyForce Toastmasters Club Homepage! 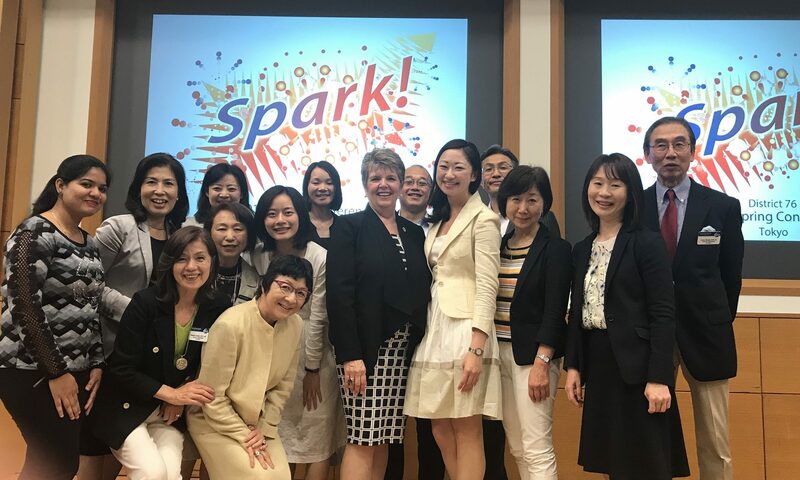 Keyforce Toastmasters Club was established in June 2000 with a focus in Women’s leadership. As we broader our club – welcoming male members and young ~ professional generations, the best about Keyforce is the diversity, exciting speeches with the member’s variety of experience, professional feedbacks, and the most, the welcoming at-home atmosphere. Members’ occupation: IT, Retail, Law firm, Finance, Business owner, University professor, Researcher, NGO, Interpreter, Tour guide etc. Please take a look at our blog to see what our meeting is like! Toastmasters is an International, non-profit and educational organization – a place to learn communication and leadership skills through public speaking. There are over 352,000 members in 141 countries worldwide as of March, 2018. 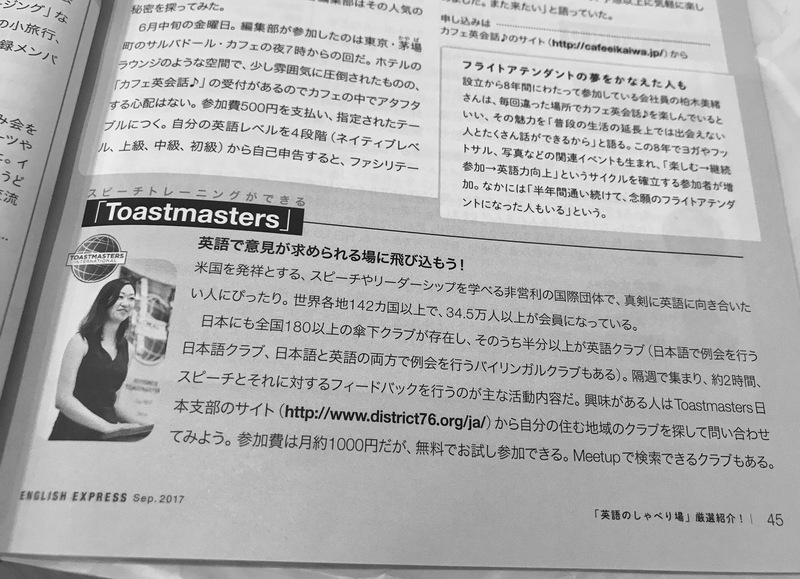 In Japan, there are 187 Toastmasters clubs, more than 4,000 members. If you’re interested: please visit us as a guest!! Please send us a message through our contact form. KeyForce Members are waiting for you! Please check out our schedule just in case. Club fee： Membership renewal in March and September annually. Toastmasters was featured on CNN English Express (September 2017 edition) as a great place to brush up your English skills. Keyforce was covered on the page!